Earlier today we told you about how the latest beta version of the Apple TV firmware adds Bluetooth keyboard support. Why Apple is just now getting around to adding support for keyboards is anyone’s guess, but it’s better late than never. No longer will you have to tediously type in hidden WiFi SSIDs and passwords in order to setup a WiFi connection. No longer will you tear your hair out in frustration as you search YouTube for your favorite videos from iDB. Setting up a Bluetooth keyboard with an Apple TV is a piece of cake. Simply head over to the Settings, select General, and select Bluetooth. Once Bluetooth is selected, you’ll be presented with an option to pair a new keyboard. The Apple TV will automatically start to look for the keyboard, so all you need to do is place your keyboard into pairing mode to finish the process. Once the Apple TV finds your keyboard, you’ll be presented with a four digit numerical code. After inputing this code and pressing the Return key, the pairing process is complete. Once it is successfully paired, you can begin navigating the interface via the keyboard. As we noted in our first post regarding this long awaited feature, pressing the Return key acts as a play/pause button and the Escape key brings up the menu. From there it’s as simple as navigating the Apple TV interface using the keyboard’s standard arrow keys. While the Apple TV features a 10 foot user interface that can be adequately perused using nothing more than the remote control that comes bundled with it, there’s no denying that having the option to pair a keyboard makes the experience feel more complete. I can’t tell you how many times I’ve simply forgone a night of watching content on the Apple TV due to the fact that I had to go through the tedious process of setting up the WiFi connection again. I know, I’m lazy, but if for some reason I have to completely reset my Apple TV from scratch, I’m much more apt to go through the setup processes knowing that I can simply pair my Bluetooth keyboard to quickly enter in any pertinent information. The question is, will keyboards be the first and only Bluetooth peripheral that the Apple TV will support? Will we see support for other hardware devices like mice, headsets, or even…iPhones, iPads, and iPad touch? It surely seems logical. It also seems possible, though unlikely, that we may see a version of Safari with a 10 foot user interface some time down the line. At the very least, Bluetooth keyboard support should be awesome for those of you with Jailbroken Apple TV’s who have the web browser installed. 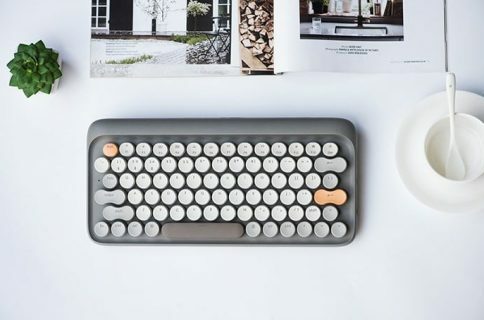 What do you think about the Apple TV’s upcoming Bluetooth keyboard support? 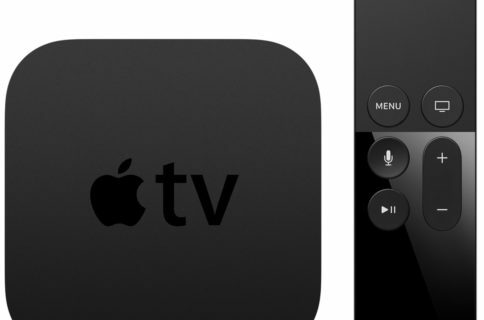 If you’re a developer, then feel free to head over to Apple’s developer portal, and download the 5.2 beta firmware for the Apple TV now. Once you’ve tried it out, let me know what you think about it in the comments below. If you’re not a developer, then you’ll have to wait, but I assume that the keyboard support should be featured in the very next release scheduled to hit the public.